Periodontal disease, or gum disease, has a variety of treatment options depending on your specific situation and severity. When caught early, you may simply need a professional cleaning. We always start with the least invasive, non-surgical options. However, in more serious cases, surgery may be necessary. The first step in treating gum disease is a special deep cleaning called “scaling and root planing.” An ultrasonic cleaning device is used to remove plaque and tartar from your teeth where regular cleaning devices can’t reach: under the gum line, on the tooth, and around the root. This treatment helps provide a smooth, clean surface that allows the gum tissue to heal and reattach to the teeth. If gum disease is addressed before it becomes severe, scaling and root planing may be the only treatment you need. However, as with any dental procedure, after-care is vital. To keep your teeth in good shape and resist future occurrences of gum disease, you must brush and floss daily, eat a healthy diet, avoid tobacco use, and have regular dental checkups. Even after a successful scaling and root planing, without proper dental care, it’s quite likely you’ll develop gum disease again. 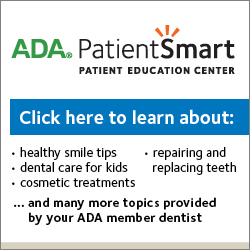 Your dental care team will make recommendations as to how often you will require periodontal maintenance cleanings and techniques for proper home care. If the tissue or bone surrounding your teeth is too damaged to be repaired with non-surgical treatment, there are surgical procedures that can help prevent severe damage and restore a healthy smile. If needed, your dental care team will make recommendations and/or referrals for surgical treatment options.